Calling all people: the Sonic Shaker is here! Repeat, Repeat! The Sonic Shaker is here! Did you hear about Sonic Alert's new Sonic Shaker? 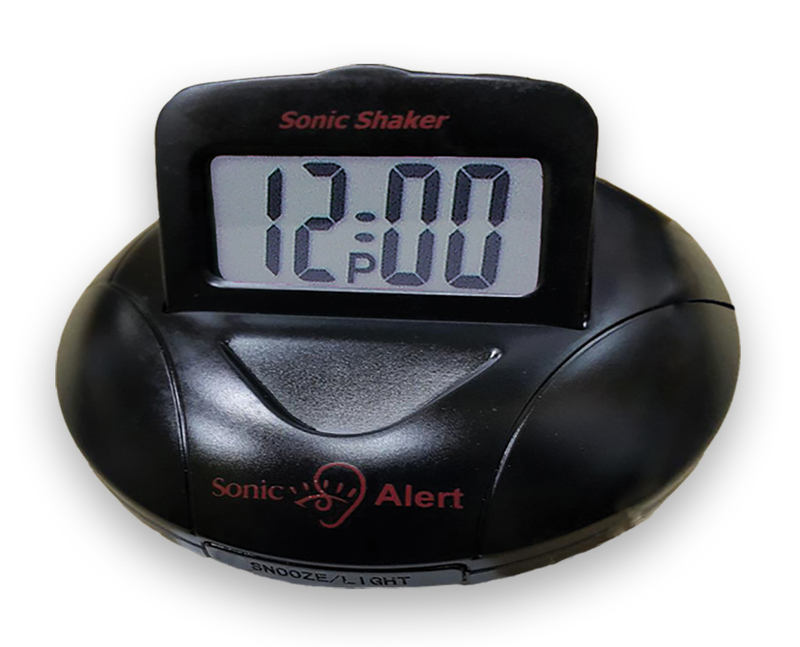 It is the incredible new black alarm clock from the company that brought you the Sonic Bomb! This powerful black alarm clock comes with a 90 dB alarm and a bed vibrating unit. With a pop-up display for convenience light, the black clock can be manually lit up. This black clock is worth a chance. See how amazing the clock is and how true the word of mouth is about it!